At an imaginative event for travel agents and the media in Midtown Manhattan, Royal Caribbean (RC) unveiled all of the new ways that they have “reimagined” dining on the high seas. The next ships coming down the line for RC, the Quantum of the Seas (due in November) and the Anthem of the Seas (due in April, 2015) will serve the latest wave of innovations from the company kitchens. They’re calling it “Dynamic Dining” and it will personalize the dining experience by supplanting the large main dining hall into five complimentary restaurants that will be supplemented by 18 restaurants, including three that are in partnership with celebrity chefs Jaimie Oliver, Michael Schwartz and Devin Alexander. The Anthem of the Seas and its sister ship the Quantum of the Seas are under construction at the Meyer Werft shipyard in Papenburg, Germany. The ships are the first harbingers of the new RC Quantum class of 4,180-guest, 167,800-ton ships. Both ships are bringing new innovations in shipboard activities such as a sky-diving experience and the North Star, a 15-person capsule that extends 300 feet above the ocean and over the sides of the ship at the end of a crane. The SeaPlex, another innovation, is an indoor sports and entertainment complex with bumper cars, roller skating and more. In its 40 year history, RC has been a consistent innovator on the seas, introducing such activities as rock-climbing walls, ice-skating rinks, surf simulators, zip-lining and a park with more than 12,000 plants and trees. Families are at the center of RC’s marketing, and the Quantum class will feature RC’s largest and most advanced staterooms ever. For multi-generational families, RC has installed connected staterooms that combine staterooms in three categories to form a special layout that provides separate bedrooms and bathrooms for all. The five complimentary restaurants that are at the center of Dynamic Dining are 1) American Icon, which will serve regional American cuisine such as New England clam chowder and New York cheesecake in an American atmosphere; 2) Chic, which will place an emphasis on highly sophisticated cuisine; 3) Silk, a Pan-Asian eatery serving dishes from China, India, Japan, and Thailand in a format that allows for sharing at the tables; 4) The Grande, which restores the classic age of European ocean liner dining, serving classic continental to diners dressed appropriately; and 5) The Coastal Kitchen, which will serve Mediterranean with a signature California touch. “We wanted dining experiences that were unique for the guests,” said Brian Abel, vice president of food and beverage. Passengers dining in any of these five restaurants won’t have to comply with any set dining times or assigned seats. Guests will be able to dine in different restaurants at any time. 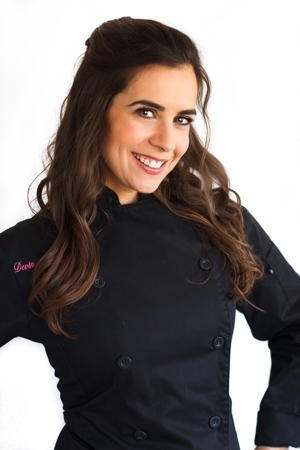 “And the range of food,” said Goldstein, “is unprecedented in cruising today.” A full range of well-known branded restaurants will also be on board including: Café@ Two70°, Cafe Promenade, Chef’s Table, Chops Grille, Dog House (in the Seaplex), Izumi (Japanese), Johnny Rocket’s, Sorrento’s and the Windjammer’s Marketplace. 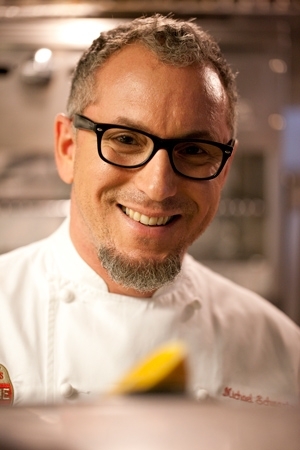 The celebrity chefs will be represented in three restaurants: Jamie Oliver at Jamie’s by Jamie Oliver Italian; Michael Schwartz (pictured, above) at Michael’s Genuine Pub and Devin Alexander (pictured, below) at the Devinly Decadence at Solarium Bistro. Finally, Wonderland, Imaginative Cuisine is a restaurant which strives to create a magical setting for the imaginative cruiser. The interior decoration of the restaurant is artsy in a fun sort of way and the dishes use plate presentation techniques that are as playful as they are delicious. 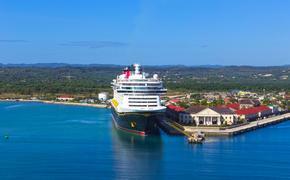 The dining experience will be further enhanced by a new online system that will allow passengers to make reservations for particular meals online using smart phones and tablets before and during their cruises. The system launches May 15 and will list seat availability at every restaurant with customer ratings of each restaurant. 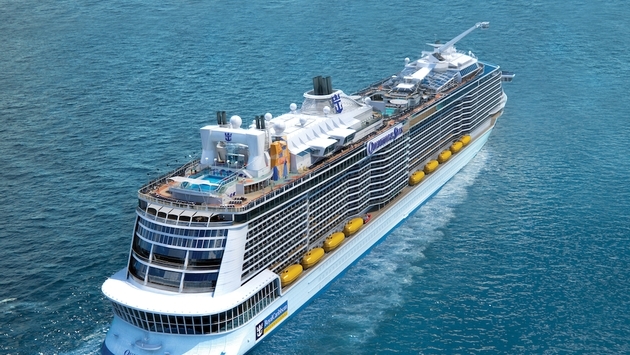 Quantum of the Seas will sail roundtrip from Cape Liberty Cruise Port in Bayonne, N.J. to Caribbean destinations through April 2015.